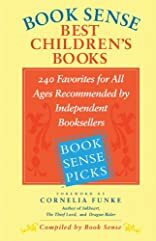 Following up on the tremendous success of Book Sense Best Books, a brand new compilation of more than 200 children's book recommendations from independent booksellers across the country. Features a foreword by a favorite contemporary children's author and line drawings by noted children's book illustrators. Book Sense, the successful national organization representing more than 1,200 independent bookstores nationwide, had a hit with the publication of Book Sense Best Books: 125 Favorite Book Recommended by Independent Booksellers. This easy-to-use reference showcased personal recommendations from booksellers on the titles they most enjoyed handselling. 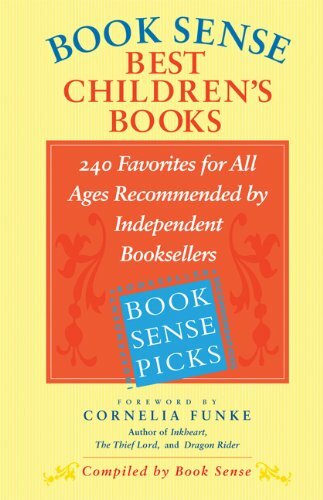 Now in Book Sense Best Children's Books, trusted and experienced independent booksellers offer their recommendations on more than 200 children's books for every age group and category. Featuring a foreword by a favorite contemporary children's author and line drawings by noted children's book illustrators throughout as well as brief essays by booksellers introducing each section, Book Sense Best Children's Books includes sections on board books, middle reader (ages 9-12), picture books, young adult (ages 12 and up), early reader (ages 5-7), holiday books, chapter books (ages 6-8), and nonfiction. Following the reader-friendly format of Book Sense Best Books, each selection is annotated by an individual bookseller and includes a complete index and fun appendices such as "What to Read While Waiting for the Next Harry Potter," "If You Like...," and "Favorite Series."